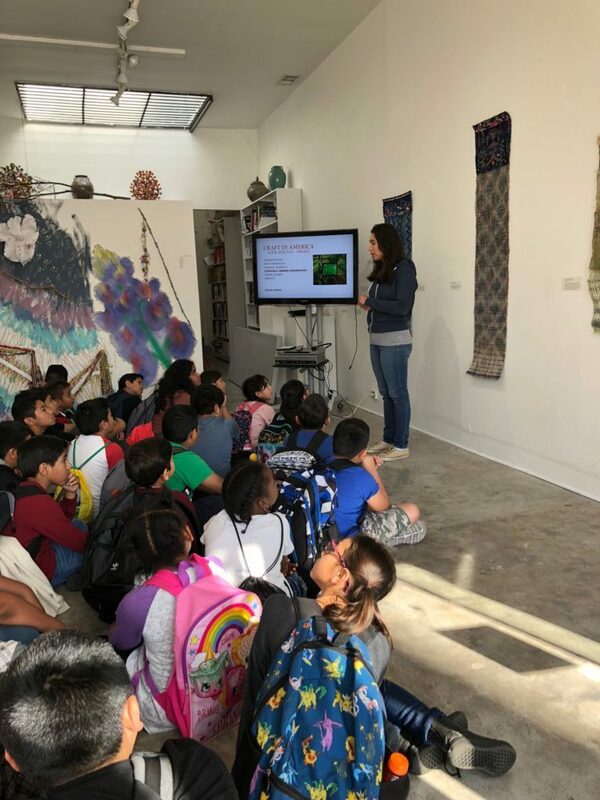 Thanks to the Pacific Standard Time: LA/LA Education Program, many teachers received free field trips to cultural institutions across LA County to see PST: LA/LA exhibitions. One of the teachers that applied for this wonderful opportunity is Marka Carson from Montvue Elementary in Pomona! She and her 4th grade class were paired with Craft in America for a PST:LA/LA field trip and today was their tour. The trip couldn’t have gone any better, it was so great in fact that it lasted 30 minutes longer than anticipated because the students were so attentive (and luckily, the bus was more than willing to give us extra time). 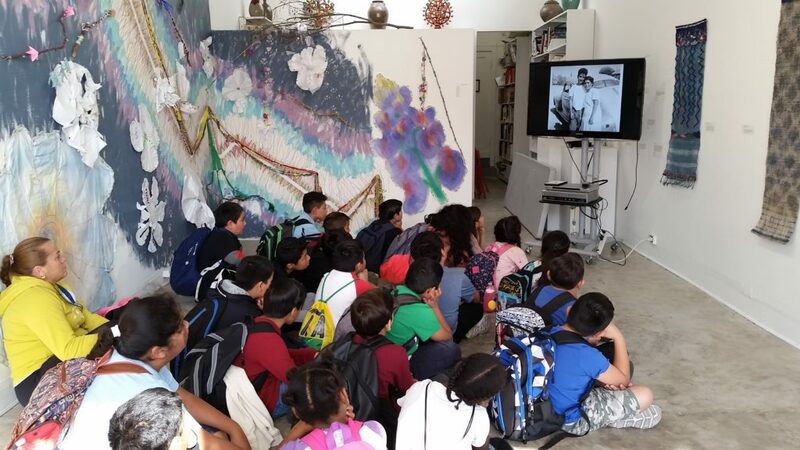 Mrs. Carson’s students were unbelievably well behaved and perceptive when it came to Consuelo Jimenez Underwood’s Mano-Made exhibition. The group was more than comfortable talking about Underwood’s Border Wall and the ecological impact the actual wall is having on us. We discussed what migration is and how we have all experienced positive and negative feelings when it comes to moving into new homes and schools, but we all agreed that moving is as natural to human beings as it is to animals and plants. 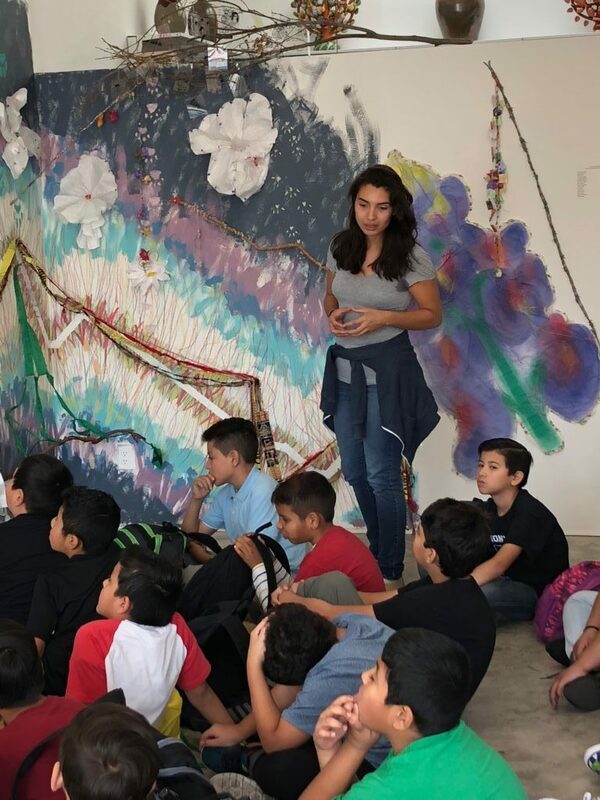 Every student used their words to describe the principles and elements of art that are utilized along the Border Wall as well as in Underwood’s Rebozos. The dialogue consisted of students using their prior knowledge, things they have learned in the school day. 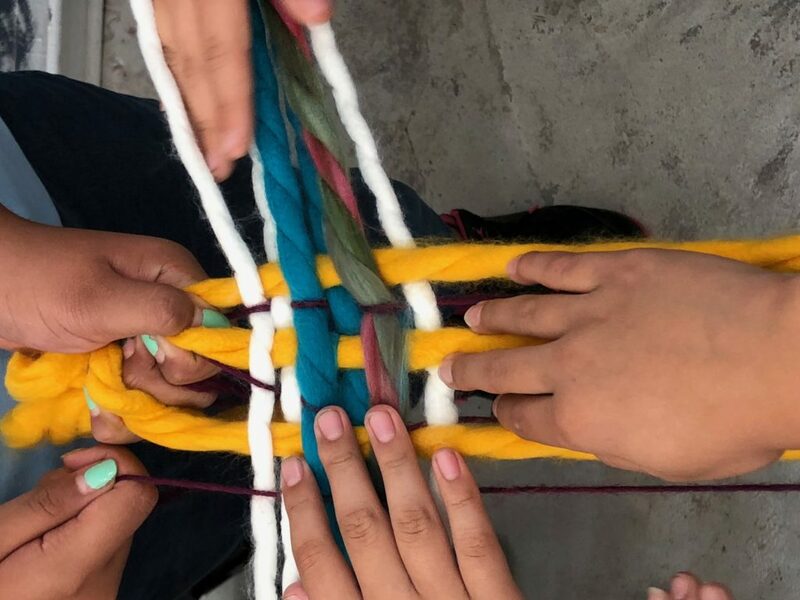 After the tour, all 24 students participated in creating a human loom, Craft in America’s most prized hands-on weaving activity. We made four rows of six students, these four rows came together to make a square. Every pair of students (standing directly across from each other) were responsible for holding up yarn. 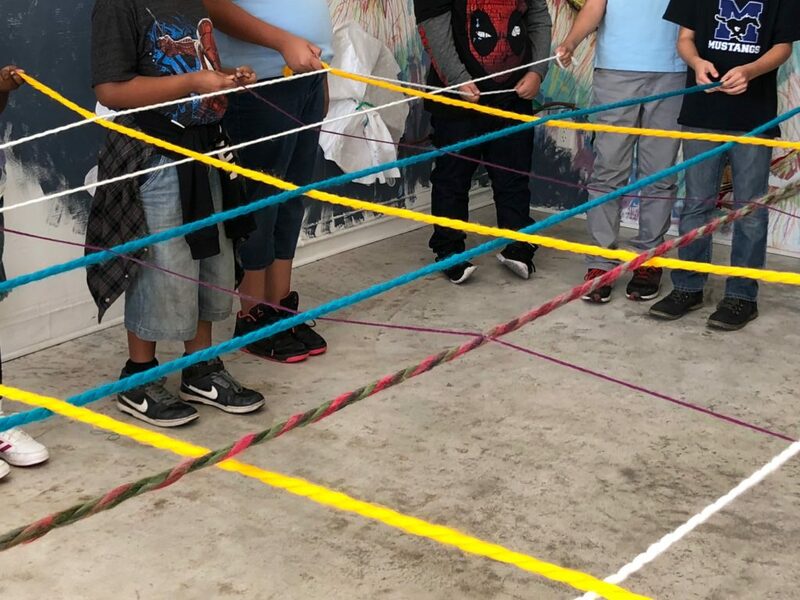 Some students acted as the weft and did the over and under run, while others acted as the warp and made sure to hold the yarn across from each other very tightly. Their woven piece was a huge success. As we concluded the trip, students were able to take branches, embroidery floss, beads and other materials to create power wands back at school. We cannot wait for photos to come in of their unique border-inspired power wands.